The CNM DPG is a dynamic group of leaders who strive to improve the quality of nutrition care in the health industry. We pride ourselves in offering guidance and sharing resources with one another. CNM members work in a variety of settings including acute care, community services, long-term care, private practice, and government services among others. It is this varied background that enables our members to offer many perspectives and resources. We are at an exciting juncture for our group. We have plans to develop and expand our member benefits in the coming year. So, it’s a rewarding time to be a CNM member. Members positively influence healthcare through nutrition leadership. 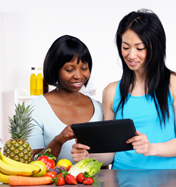 Empower and support leaders to advance nutrition practices in healthcare. Provide opportunities and resources to members to develop and/or enhance multidimensional skill for leadership and management. Lead nutrition-related healthcare initiatives to improve organizational level practice and influence public policy.